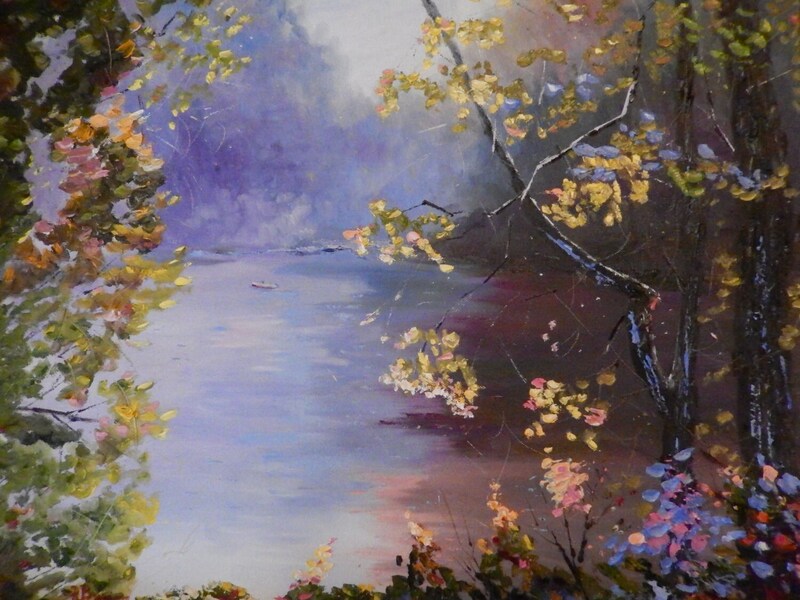 MISTY MORNING is an original 18" x 24" UNFRAMED oil painting. 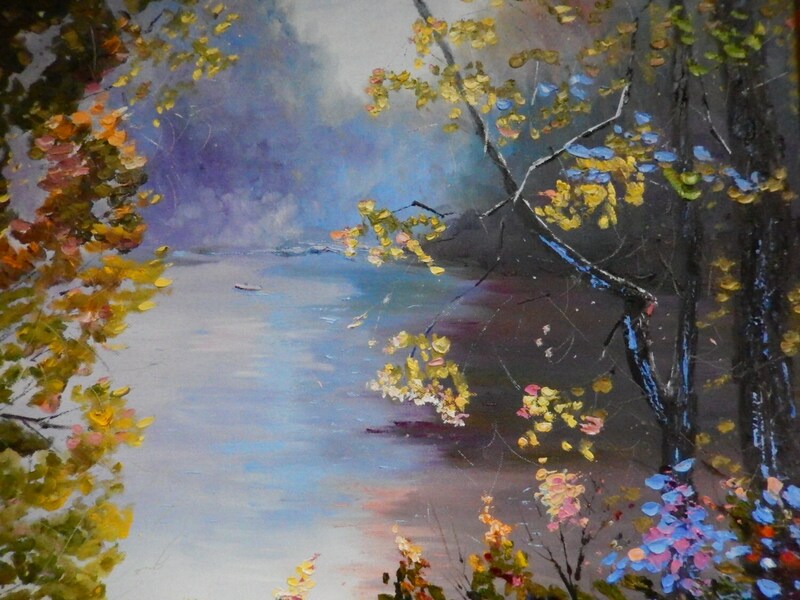 This is a striking painting of the White River in the morning. I was on the bike trail in the early morning and saw a boat out in the water and the mist on the far hills and had to paint the wonderful scene. I see this type of scene all across hilly southern Indiana. The other pictures are a closeup of the river. The trees on the bike trail frame the scene on both sides. Since it's early morning, the sun is just beginning to touch some of the leaves with gold. The rest of the leaves are in shadow. Some of the leaves have touches of rose, peach, blue and orange - very striking! The third picture shows what the painting would look like framed. 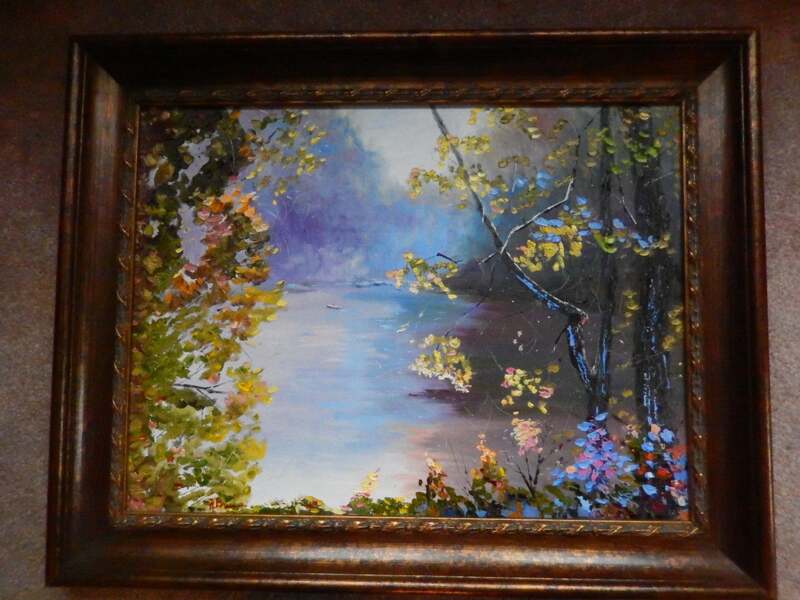 Although a frame is not included in the price, if a frame is wanted, please email me and we will discuss a revised price. 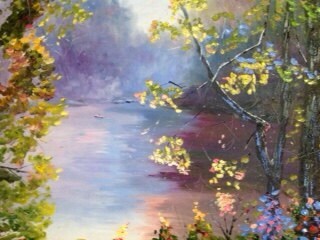 This is a very peaceful painting that anyone would be pleased to own.